The Onion is basically the Nike of comedy. 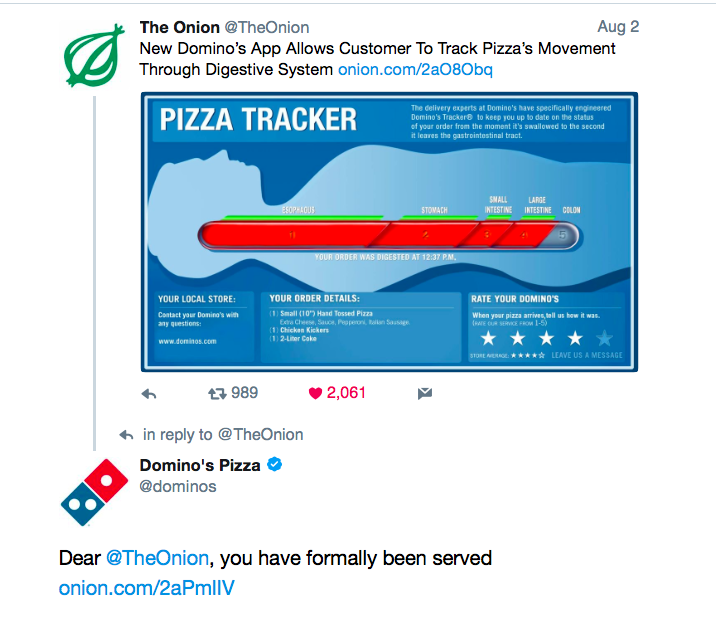 So when they decided to attack Domino's, we couldn't resist to draft a little response of our own. The results? A blossoming new friendship. Lori gave me an email high five!